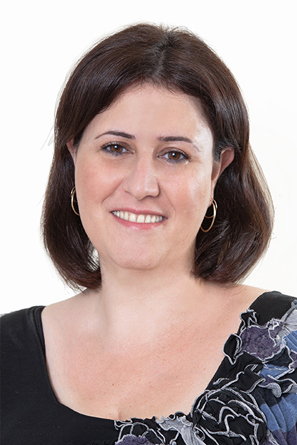 Michal Nashiv joined Dori Media Group in 2006 after a bright career in the advertising industry in Israel. In 1999 she joined Linial DDB as an account director, where she managed international and local accounts. She then continued to her next position – an Account Group Manager at McCann Erickson Israel, where she managed, among other accounts, the account of satellite TV platform ‘Yes’. She mainly dealt with strategic thinking in order to preserve the ‘Yes’ clients and maintain image leadership over the competitors with preparation to the launch of the ‘Hot’ brand to the market. She then became an account group manager at Adler Chomski & Warshavsky Grey, a well-known Tel-Aviv-based advertising agency. There, Ms. Nashiv managed the accounts of Israeli telecommunication giant Bezeq (Bezeq, Pelephone & Bezek International) and the account of Hapoalim Bank in addition to other brands, running a total budget of 35 million dollar. Ms. Nashiv holds an MBA from the New York Institute of Technology, with focus on marketing, and a BA in advertising from the same institute.